Oh man. I needed a break. Between work getting crazy, pure exhaustion and a little tropical vacation, I just needed to reevaluate and take a little break. That being said, I'm back! I'm ready to blog again. I have a lot to get caught up on so bear with me. First up...the video for "Girls Will Be Girls," the debut single from the Steve Anderson (Kylie Minogue, Westlife, Britney Spears)-produced Ultra Girls. I've blogged about The Ultra Girls a couple of times previously, and my love has not died down in the slightest. The girls' first blew me away with the vocal abilities on their cover of British boy band The Wanted's song, "Lose My Mind." Next I heard they were opening up for the legendary Ms. Kylie Minogue on the UK leg of her international tour. These girls are kind of a big deal! The video, while a tad bit cheesy, really recalls the whole "GIRL POWER" message of the Spice Girls. It's a good time for sure. The Ultra Girls are Lucy, Laura, Amy and Lauren and they originally met cheerleeding for Leeds Rhino rugby club. The girls auditioned for X-Factor in 2009 where they managed to make it to judge Louis Walsh's boot camp. Unfortunately, Walsh selected Jedward to go onto the final (BIG MISTAKE) but this thankfully didn't kill the girls' drive or spirit. The girls went underground for 2 years before re-emerging as The Ultra Girls, ready to make an impact on the British charts and hopefully beyond. 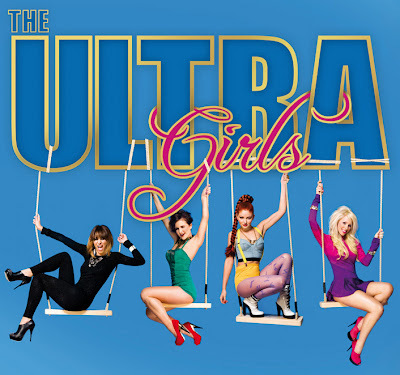 In addition to working with Steve Anderson, the Ultra Girls are working with some of the finest people in the business including stylist Kenny Ho (Spice Girls & Girls Aloud), songwriter and musical director Sarah deCourcy (Christophe Willem, Kylie & Mel C), choreographers Aaron Sillis (Kylie & Cheryl Cole) and Tony Testa (Lady Gaga, Britney, Kylie, and Michael Jackson). I can't WAIT to see what these girls do with their career. Look out for "Girls Will Be Girls" remixes by Steve Smart & Westfunk, Alex Simmons & Mr. B. "Girls Will Be Girls" will be out on April 18th so get excited. If you're in the UK definitely try and see the girls open up for Kylie during her Les Folies 2011 tour. Check out the tour dates below and make sure you watch the video.